hd00:113D printers working printing plastic model with Plastic Wire Filament. hd00:12Close up. 3D printer making part of human prosthesis. 4k00:26MOSCOW, RUSSIA - CIRCA OCTOBER 2018: DSLR car suction cup camera mount for shooting on a moving vehicle. Mounting Sony Alpha a7S II digital camera on top of police car. hd00:11Developing a robot for young scientists. The legs of the robot. Robo technology. 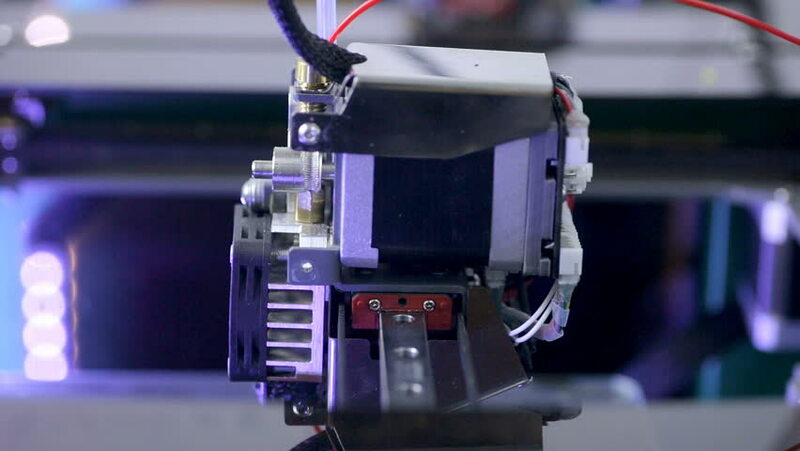 4k00:083d printer is printing black plastic detail. 3d printing project concept. Automated printing robot machine.